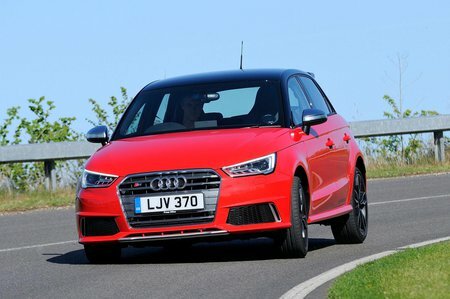 Audi S1 Performance, Engine, Ride, Handling | What Car? 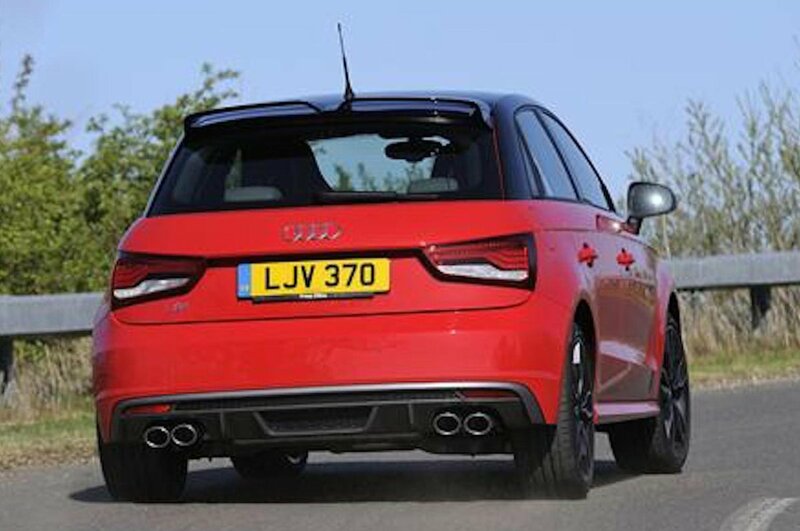 Unsurprisingly, the Audi S1 is seriously rapid in a straight line. A combination of four-wheel drive and wide, sticky tyres give tremendous traction, allowing you to slingshot yourself away from a standstill. The 0-62mph dash takes less than six seconds, so the S1 will easily outsprint a Golf GTI or a Ford Focus ST, and it isn’t that much slower than the more expensive Audi S3. You don’t even need to rev the engine that hard to accelerate quickly, because the turbocharged 2.0-litre pulls strongly from just 1600rpm. The menacing growl from the engine adds to the drama when you’re in the mood, although the incessant boom from the four exhaust tailpipes at a steady cruise can become tiresome on the motorway. Likewise, the amount of roar generated from those big tyres slapping against the road is enough to give you a headache. Meanwhile, the gearshift has a fairly long throw by hot hatch standards but it is at least precise. You’ll need to be doing ludicrous speeds to make the S1 come unstuck through corners. It turns in eagerly and a clever on-board computer can also brake the inside wheels to further aid agility. Sadly, the steering is slow to react and a bit lifeless, so you’re never involved in the process of going round corners as much as you are in a Ford Fiesta ST or even a Golf GTI. Adaptive dampers come as standard, allowing you to stiffen and soften the suspension by pressing a button. However, the ride is pretty firm no matter which setting you choose – especially if you opt for 18in alloys (17s come as standard). True, the S1 isn’t quite as bumpy as a Ford Fiesta ST, but a Golf GTI smoothes over imperfections noticeably better.